On Friday, March 9, on narrow grounds a Western District U.S. Magistrate Judge chose not to recommend that the Court stop the elimination of wild and free roaming horses at Fort Polk, Louisiana. However the Court denied the Army’s two motions attempting to block Pegasus’s evidence on the issue and accepted the evidence on the record of the preliminary injunction. A yearling buffalo struggles to free herself from the the Silencer, as a Yellowstone bison biologist stands by, waiting to conduct invasive procedures. Photo by Stephany Seay, Buffalo Field Campaign. 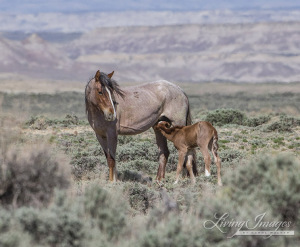 The Bureau of Land Management is investigating the shooting of five wild horses in south-central Wyoming’s Red Desert, the agency said in a statement last week. Three horses were found shot in early November and two more in mid-January in a similar location. 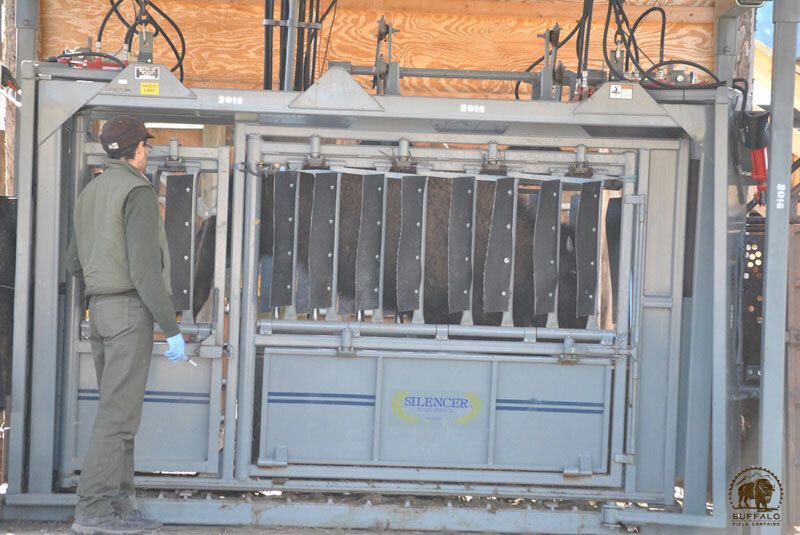 “Preliminary findings suggest all five horses were shot,” the statement said. The horse were found both on Green Mountain and near the Three Forks/Atlantic City Road in the Pickett Lake area. The BLM is working with the Fremont County Sheriff’s Department and the Wyoming Game and Fish Department to investigate the incident. 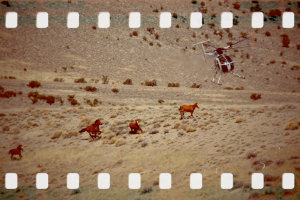 This public hearing is being held to obtain information and your views, comments and suggestions about the BLM’s use of helicopters and motorized vehicles in managing wild horses within Idaho during the coming year (Feb. 2018 to Jan. 2019). The BLM believes that partnerships and inclusion are vital to maintaining sustainable, working public lands. A country song telling the true story of how a three-strikes mustang became a dressage champion, with a music video starring the actual horse and trainer themselves? YES PLEASE! “Although we would prefer to have seen Cobra live out his life, naturally, on his rightful range it warms ones heart to see someone take a chance, step forward and save this ‘3 Strikes’ pony from further abuse and possible slaughter. A true love story and a definite tissue alert is warranted. Thanks to all who made this tribute to a magical rescue possible. May God bless.” ~ R.T.